An ITM investigator exploring how lay people who normally offer emotional and physical support to women in labor could help women undergoing abortions is expanding her research with the support of a grant that the National Institutes of Health (NIH) Eunice Kennedy Shriver National Institute of Child Health and Human Development awarded her this fall. Julie Chor, MD, MPH, Assistant Professor of Obstetrics and Gynecology, studied the impact those lay people – known as doulas – have on women’s experiences with first-trimester abortions in research that could change current patient care models. More than 96 percent of women undergoing abortions who received support from a doula recommended doula services for routine care and were less likely to need additional clinical resources, according to a study she published in the American Journal of Obstetrics and Gynecology. Chor’s new NIH K23 grant will help her expand this research. She will evaluate how lay health care workers could help improve reproductive health for women who do not routinely engage in preventive reproductive health care. 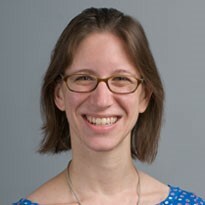 Chor is the first to publish research on these full-spectrum doulas – lay people who help women with a variety of reproductive issues ranging from childbirth to miscarriages to adoptions to abortions – thanks to an NIH Career (KL2) Development Award from the University of Chicago Institute for Translational Medicine (ITM) that helped launch her status as an investigator in 2013. The ITM administers the Paul Calabresi, Lung Omics, and Clinical and Translational Science Awards (CTSA) K12 Award programs at UChicago and hosts monthly ITM K Scholar seminars for all recipients. Since the UChicago programs began in 2007, the ITM has awarded more than $4.3 million to more than 40 junior investigators like Chor who receive salary support, protected time to explore the research of their choice, and special mentoring and training opportunities. Chor started studying reproductive health disparities among poor and minority women as part of her ITM K12 Award. Among women of low socioeconomic status, pregnancy rates are five times as high compared to women of high socioeconomic status, and almost 70 percent of pregnancies among African Americans are unintended, according a study in the journal Contraception. “These disparities persist despite various clinical and public health interventions designed to address them,” Chor said. Chor’s ITM-supported project took her to John H. Stroger Jr. Hospital of Cook County to study the effectiveness of full-spectrum doula support in a high-volume urban hospital that serves a large minority population of those in poverty. As the former Assistant Director of Family Planning at Stroger, Chor said that many women who seek services there have multiple unintended pregnancies. In a setting that doesn’t allow family or friends to be with women during abortion procedures, Chor found that women highly valued the presence and emotional support of trained doulas. The journal Contraception published her findings online in October, with the print edition currently in-press. Her answer to the overarching disparities problem: an innovative health care model where full-spectrum doulas and other lay people offer basic health care information and emotional support to help women make informed decisions about their reproductive health. For example, if a woman had a medical condition that makes pregnancy unsafe, a full-spectrum doula could help address those health issues before the woman becomes pregnant. Or if a woman did not want to become pregnant, a doula could help her identify a healthy contraceptive method. Chor’s round of NIH funding to evaluate that new model will run through 2019. Chor has also presented her findings at several national meetings, including the North American Forum on Family Planning and the National Abortion Federation, and the University of Chicago Center for Health Administration Studies at the School of Social Administration awarded her more than $20,000 in additional funding to explore more themes from her project. Her work has also appeared in the Journal of Family Planning & Reproductive Health Care. The ITM is accepting applications for the Career (K12) Development Awards that kick-started Julie Chor’s career through Jan. 16, 2017. Click here to learn more and apply.